Leicester City’s recent form makes Jürgen Klopp no less guarded when it comes to the qualities of Liverpool’s next opponents. Since winning consecutive Premier League matches against Chelsea and Manchester City in late December, Claude Puel’s side have lost four of their last five games in all competitions. 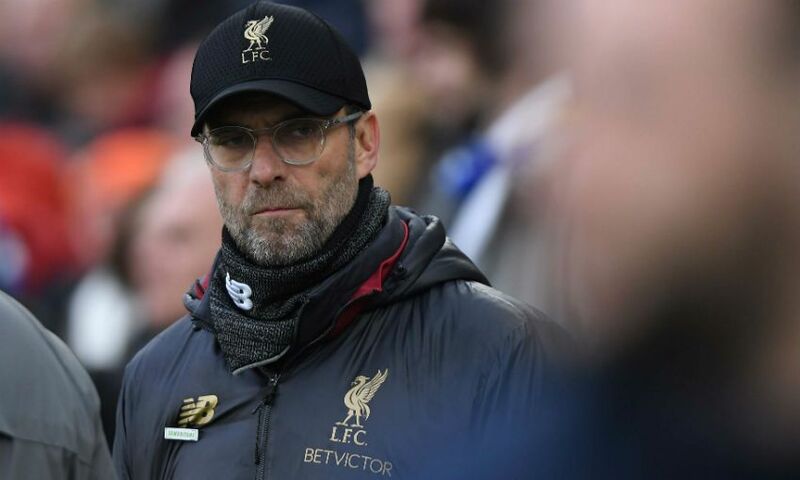 However, Klopp believes those results versus Chelsea and City are illustrative of the Foxes' threat ahead of their visit to Anfield on Wednesday. “They like playing against the top sides. They are not that much a counter-attacking side anymore than they have been in the past, but of course it’s a massive, massive threat,” the boss said. “We all had these situations, if you play against teams [and] they don’t give you a lot of space or whatever then it’s not too comfortable. “A lot of teams struggle with that, obviously, to create and these are the games they lost when they conceded counter-attacks or whatever. But we expect a very dangerous opponent, that’s how it is, because they have quality. “If we can go through their team, that’s a super team to be honest. I can imagine that they are not happy with the situation because they are in ninth place. A couple of years ago it would have been a brilliant position for Leicester, but after being champions and playing in the Champions League, now it’s not that good. “They invested a lot of money in the team obviously as well, but they have a really good team. Centre-halves, full-backs, midfielders, really interesting. And up front, very talented and with Jamie Vardy, one of the best strikers in the league. So that’s a big threat. “We expect a very, very good side and I’m really happy that it’s a Wednesday night game because I hope that our supporters feel the need of real support. It’s a while ago that we played at home, 10 days or so, so we are again really looking forward to it. Vardy has scored seven times against Liverpool since Klopp’s arrival at the club in October 2015, and the manager was asked to identify what marks the forward out as a dangerous opponent. “His quality: the speed he has, the finishing skills he has,” he replied. “But a few times we made it pretty easy for him – Lucas Leiva, did he get an assist for that goal [at Anfield in September 2016]?! I would have scored that goal! But Jamie is a fantastic striker, really. “You can see each fibre of his body is always on these decisive situations, he always waits for the balls over the shoulder. Now I think he is more involved in defending meanwhile than he maybe was in the past, but bringing him in another situation doesn’t make it easier to defend him to be honest. “He’s a massive threat and he was always, but he’s not the only one in that team. Maddison - a really, really good player, not only set-pieces, a fine footballer. Gray, Pereira, Albrighton, there’s a lot of quality. “It’s either way experienced and well-tuned with all the other players, or very skilful and quick and all that stuff. Having Chilwell making the left flank up and down, up and down. It makes it all interesting. “I don’t know exactly why Jamie has that good a record against us, I would minus one goal because that was the only one I thought he shouldn’t have scored.